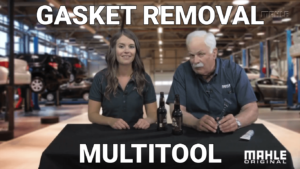 Promotional content for the MAHLE original gasket removal multi-tool featuring an RTV scraper, RTV tube squeezer, brush, and bottle opener. 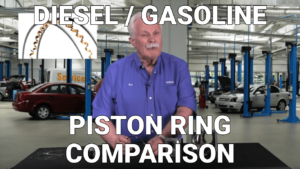 In this video, Bill McKnight goes over some of the main differences between piston rings used in light vehicles and the piston rings used in heavy duty / commercial diesel engines. Thermostats are an integral part of an automotive cooling system. 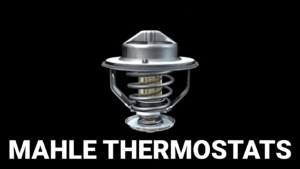 In this video we’ll be taking a deep look at how a thermostats function affects the cooling systems’ performance.